John Tyler Bonner’s Randomness in Evolution (2013; Princeton University Press) is a small and lightweight book— 123 pages, plus a bibliography with a mere 43 references. So, I won’t feel too bad for giving it a rather small and lightweight review, based on a superficial reading. Last year, I was tasked with reviewing Nei’s book and I went way overboard reading and re-reading it, trying to decipher the missing theory that Nei claims to be proving. I even wrote to Nei with questions. He literally instructed me to read the book without pre-conceptions. (Pro tip: when a reader asks you to explain your work, do it— don’t pass the buck). Bonner’s book is somewhat similar to Nei’s in that it is full of broad generalizations and narrow examples, without enough of the conceptual infrastructure in between; both books offer provocative ideas that are something less than a new theory. The difference is that Bonner is aware of this. His modest claim is simply that certain forms of randomness (which he describes) play an under-appreciated role in evolution. My first reaction, skimming parts of the book, was annoyance with Bonner’s repeated claims that randomness is essential to Darwin’s theory. This is not correct historically or logically. Darwin’s theory does not depend on variation having any of the various meanings that we normally assign to the term “random” in other contexts (uniformity, independence, spontaneity, indeterminacy, unpredictability), only on it being small and multifarious. Imagine a deterministic mechanism of variation that creates a quasi-continuous range of trait values above and below the initial values, and you can get evolution exactly as Darwin conceived it. Darwin believed that the variation used in evolution was stimulated by exposure to “altered conditions of life”. In this theory of variation-on-demand, adaptation happened automatically. The “random mutation” doctrine came along later, and it meant something (rejection of Lamarckian variation) that Darwin himself clearly rejected. As I read more of the book, I realized that Bonner’s “randomness” covers several different ideas, one of which arguably justifies his references to Darwin. In some cases, Bonner’s “randomness” means that different instances of a dynamic system inevitably disperse over a non-zero area of state-space, due to heterogeneity in factors we don’t care about (the technical language is mine: Bonner doesn’t describe it this way). Imagine a local population of genetically identical slime mold cells: expose them to microheterogeneity in the availability of bacterial food sources, and you’ll get heterogeneity in the sizes of cells. Even if you give those cells identical food, after some period of time they will be out of synchrony, and we’ll get a distribution that goes from skinny cells that just divided to fat ones that are about to divide. I’ll call this flavor of randomness “predictable dispersion” or “reliable dispersion”, noting the relationship to arguments of McShea and Brandon. Bonner argues that reliable stochastic dispersion in morphology and other gross features plays an important role in life cycles, e.g., when certain slime molds form a fruiting body, the skinny cells go on to become stalk cells, and the fat ones become spore cells. This is an interesting argument, but is not developed in full detail. This particular kind of “randomness” is suggestive of Darwin’s theory, though it isn’t what Darwin meant by “chance”. Elsewhere, Bonner is simply invoking neutral evolution, e.g., neutral evolution of morphology. 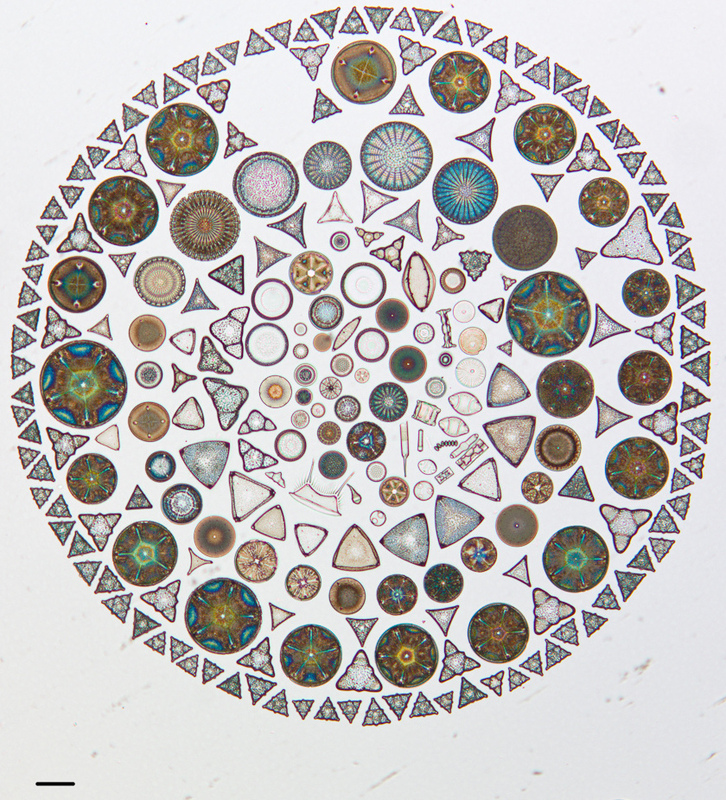 In considering a group of marine planktonic organisms such as the foraminifera or radiolaria or diatoms, with literally thousands of morphologically distinct species (note the radiolarians on the cover, from Haeckel’s drawings), he finds it unfathomable that all of this morphological diversity is adaptive. He argues quite reasonably that there is much more habitat heterogeneity in terrestrial than planktonic environments, yet these are largely planktonic marine organisms, often cosmopolitan, which argues against local niches. This is about as far as the argument goes. It seems to me that a cosmopolitan distribution argues against this thesis. If these organisms are not segregating a niche, competitive exclusion would come into play and reduce diversity. At the risk of sounding like an adaptationist Pollyanna, I would wager that there is a constant differential sorting of planktonic organisms (due to subtle differences in temperature, current, viscosity) in such a way as to preserve a diversity of morphologies, even when the system seems well-mixed on a larger scale. Every time a squid swims by, I reckon, the patterns of turbulence sort planktonic critters in reliable ways that bring different resources to differently shaped species. Even if such an adaptive hypothesis is true, Bonner’s argument remains relevant in the sense that (in my scenario) selection is blind to every aspect of morphology that looks interesting to us visually (and only cares about the effect on mechanical sorting). Bonner also makes an argument about size and randomness that was not very convincing. However, he makes it clear that he is not expecting us to be convinced by such arguments. He wants only to inspire further thought. I suppose he has succeeded, in my case, but I wish he had gone further to propose more specific hypotheses, and to outline a research program. What thoughts has Randomness in Evolution inspired? My main thought is that we need to stop using “chance” and “randomness” so casually, and start making meaningful distinctions. Like Bonner— who frequently juxtaposes different ideas under the theme of “randomness”, and jumps jarringly from Darwin to Wright to Kimura to Lynch— we often use these terms to cover a wide array of concepts, and it isn’t helpful. And please do not refer to drift as “Wright’s idea”. The idea of neutral changes is generic and had been kicking around much earlier. Early geneticists such as Morgan proposed the more specific idea of random changes in gene frequencies, and also the (slightly different) idea of random fixation of neutral mutations. If we are looking for early advocates of the importance of drift, then according to what I’ve read (e.g., Dobzhansky’s account), we should honor a couple of Dutch geneticists, Arendt and Anna Hagedoorn, based on their 1921 book. Wright merely introduced the distinction “steady drift” = selection and “random drift” = drift, which degraded into simply “drift” to mean random drift. The role that drift plays in Wright’s signature “shifting balance” theory, which came along later, is distinctive. 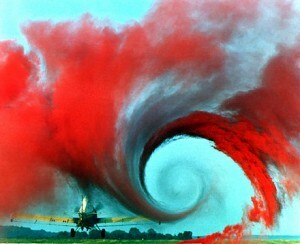 Wright did not introduce “randomness” in order to explain dispersion or unpredictability in the outcome of evolution. To the contrary, his idea was to leverage drift in a scheme for improving search efficiency. The role of drift in Wright’s theory is analogous to the role of heat in simulated annealing. This and similar meta-heuristics used in optimization methods allow the system to explore solutions worse than the current solution, a property that reduces the chance of getting stuck at a local optimum, and (when properly tuned) ultimately increases optimization. Wright assumed that evolution was a very good problem-solving engine, and that it must have some special features that prevent it from getting stuck at local optima. He proposed that the special optimization power of evolution comes from dividing a large population into partially isolated demes, each subject to stochastic changes in allele frequencies. The intention of this scheme was to make evolution more predictable, more adaptive and more reproducible. Kimura was doing something entirely different, trying to solve a technical problem in the application of population genetics theory, which is that the rate of molecular evolution is high and constant, and seems incompatible with the projected population-genetic cost of selective allele replacements. The solution was to propose that most changes take place at low cost because they are due to the random fixation of neutral alleles. Kimura was deeply committed to his theory and defended it to his death, but I don’t think the random character of fixation by drift had any particular importance for him. These ideas are different, again, from Lynch’s thesis. The explanatory target of Lynch’s thesis is not the unpredictability of evolution, or an excess of unpatterned diversity. Instead, Lynch purports to have discovered a pattern, and a drift-based explanation for that pattern, that takes much of the mystery out of genome size evolution. Where previously we saw anomalous differences in genome size, we now (according to Lynch) see a widespread inverse correlation between genome size and population size, and we have a hypothesis to explain that correlation based on drift (in combination with a tendency to gain mobile elements). In context, drift is responsible for a directional or asymmetric effect, because it is stronger in smaller populations. My last comment, not stimulated by Bonner’s book, is that we really should reconsider what we mean by “randomness”, which I think is dispensable. I do not say this because I have a secret belief that everything happens for a reason. The problem with randomness is that everyone invokes it as if, by calling a process “random”, we are diagnosing some observable property of that process. I think it is hardly ever the case that “randomness” properly belongs to the thing alleged to be random. Where “randomness” connotes chance or independence, it is always a matter of one thing relative to another. Calling something random is like calling something “independent”— it immediately prompts the question “independent of what?”. In other cases, I think “random” is used as a heuristic, a kind of epistemological (methodological) perspective on factors. A random process or factor is one that we do not care about— something we have placed in the category “unimportant”. The process may rely on causes that are perfectly deterministic, and its behavior may be predictable and highly non-uniform, but if we don’t care about it, we assign it a stochastic variable and call it “random.” Is movement random? That depends. If we are tracking wolves with radio collars, we care about the day-to-day movements of individual organisms. The movements aren’t “random”. If we are modeling the formation of a slime-mold fruiting body, we no longer care about the day-to-day movements of individual organisms. They are random. In reality, they are no less deterministic or predictable than the movements of wolves, but we don’t care about them. Once you start caring about a factor, it is no longer random. Once a factor is in the “important to me” category, we see that there are source laws that determine its behavior, and consequence laws that determine the effects of this behavior. Once I got interested in the role of mutation in evolution, I wanted to understand the cause of biases in mutation, and the consequences of these biases on the course of evolution and the doctrine that “mutation is random” meant only that some people still put mutation in the “unimportant to me” category, and these people typically are confused about the source laws and consequence laws of mutation. Bonner introduces us to size through the giants and dwarfs of human, animal, and plant history and then explores questions including the physics of size as it affects biology, the evolution of size over geological time, and the role of size in the function and longevity of living things. As this elegantly written book shows, size affects life in its every aspect.